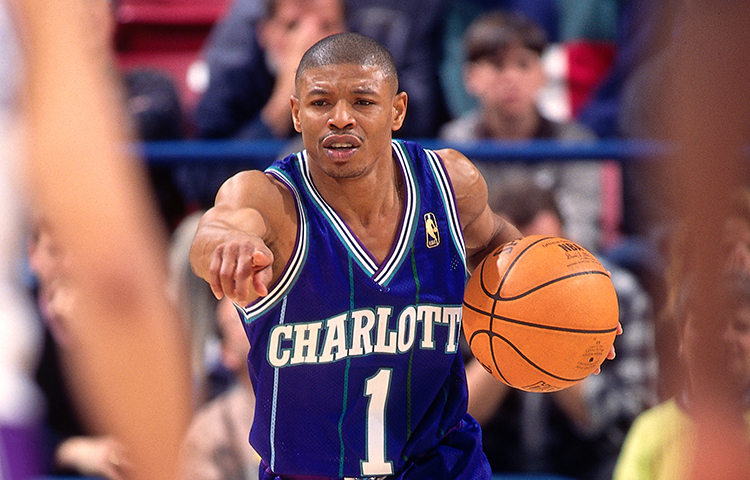 The shortest player in NBA history at just 5’3”, ever-popular point guard Muggsy Bogues reigned tall over the city of Charlotte throughout his 10-season tenure with the Hornets franchise. Snagged by Charlotte from the Washington Bullets with the sixth overall pick in the 1988 Expansion Draft, Bogues played mostly off the bench during the franchise’s inaugural NBA season. 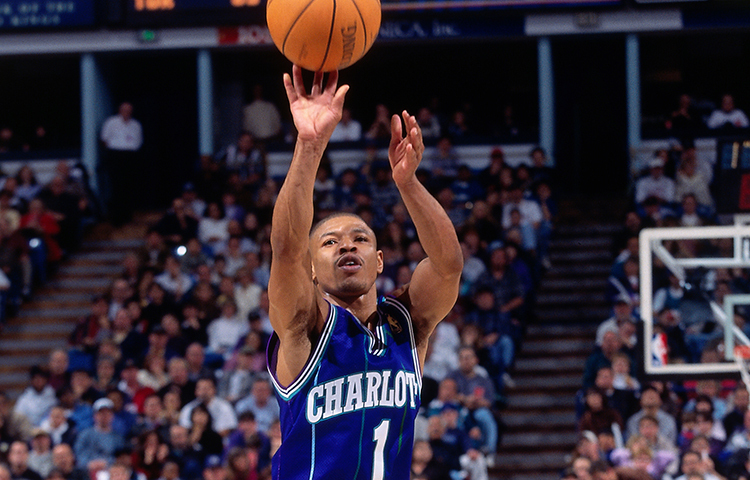 The following year, Bogues averaged 9.4 points, a franchise-record 10.7 assists and 2.0 steals over 81 outings, 65 of which were starts. 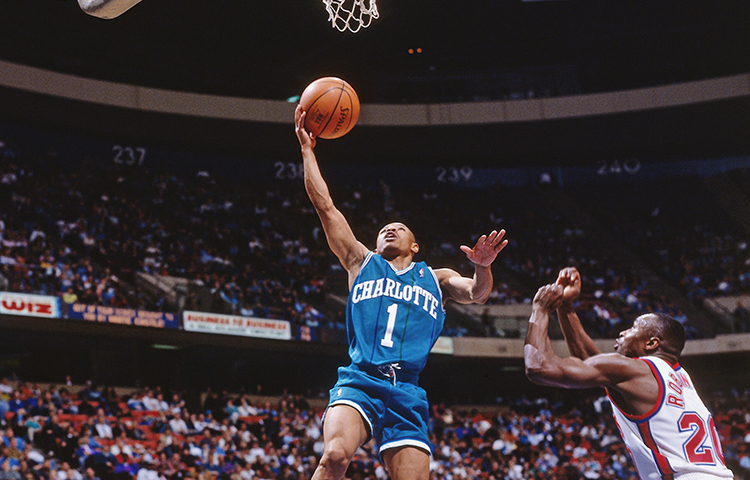 With a skillset predicated on speed and agility, Bogues used his diminutive height to his advantage as a facilitating, ball-swiping playmaker. In 1994, he became the first and still only player in franchise history to average a points-assists double-double for an entire NBA season (10.8 points and 10.1 assists in 77 games). 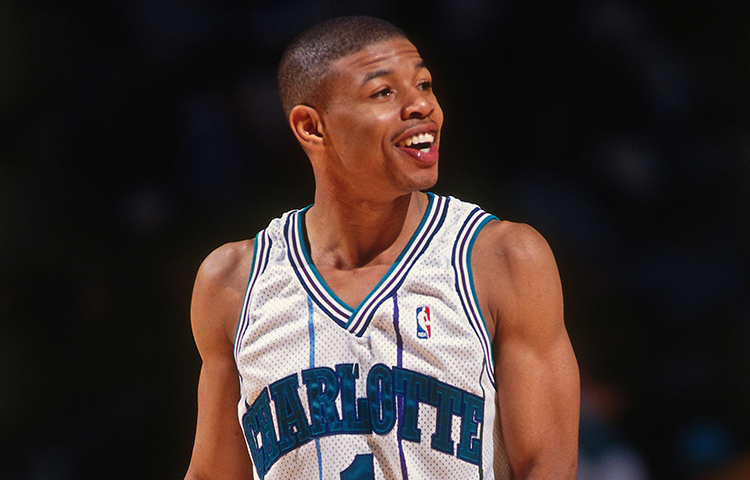 Bogues was arguably one of the NBA’s most popular players during his career and he soon transcended into mainstream pop culture with roles in movies like Space Jam and Eddie and a guest appearance on Saturday Night Live. 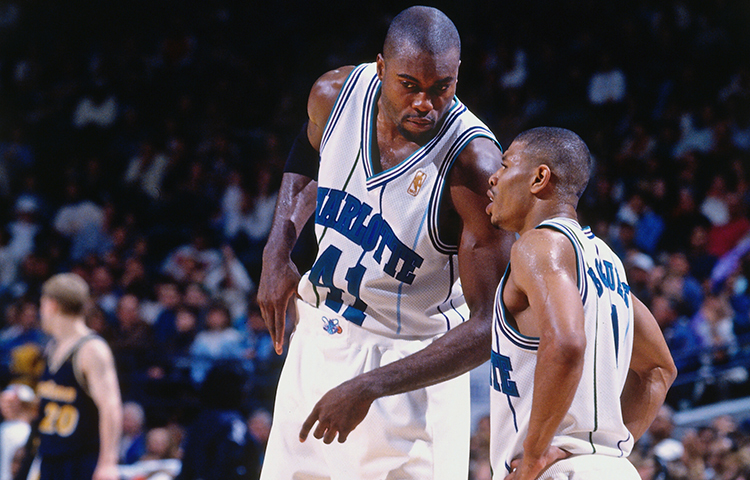 He played a significant role on three Charlotte playoff teams and remains one of the all-time faces of the Hornets franchise. Bogues and Tony Delk were eventually traded to the Golden State Warriors shortly after the start of the 1997-98 season, sending B.J. Armstrong back to the Hornets. He played two seasons with the Warriors before signing with the Toronto Raptors, where his playing days ended in January of 2001. 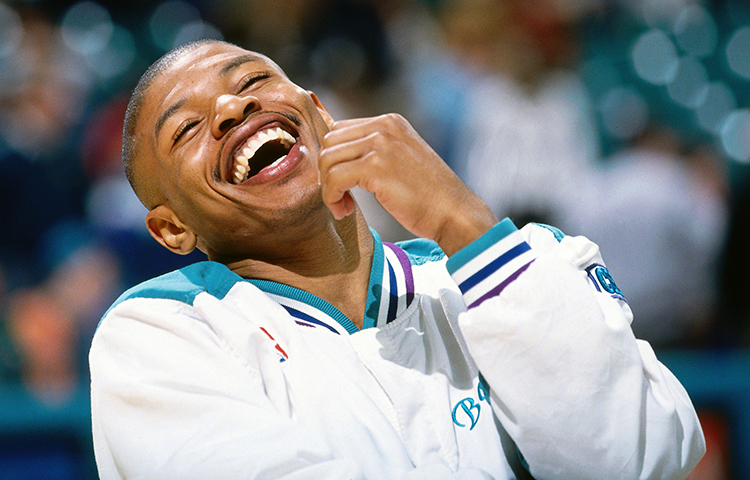 In 632 regular season games with the Hornets, Bogues averaged 8.8 points on 46.6 percent shooting, 2.9 rebounds, 8.8 assists and 1.7 steals. He still sits atop the franchise leaderboards in assists (5,557), steals (1,067) minutes played (19,768) and is sixth in points (5,531). He owns seven of the eight highest single-season assist totals and three of the six highest single-season steal totals in team history. Bogues currently lives in Charlotte and is closely involved with youth and Jr. NBA basketball camps, clinics and other related events.